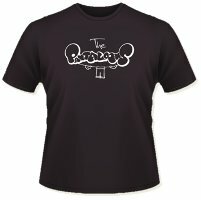 You will be the envy of your friends as you don this logo-tastic t-shirt! Wear it indoors or outdoors, over a vest or under a cardi; the possibilities are endless. Available in several delicious sizes, select yours from the drop-down list below. Price includes FREE UK delivery within 10 working days (we regret that we cannot currently deliver overseas).